A 1971 Ford Mach 1 being raffled away at the Chicago Auto Show. 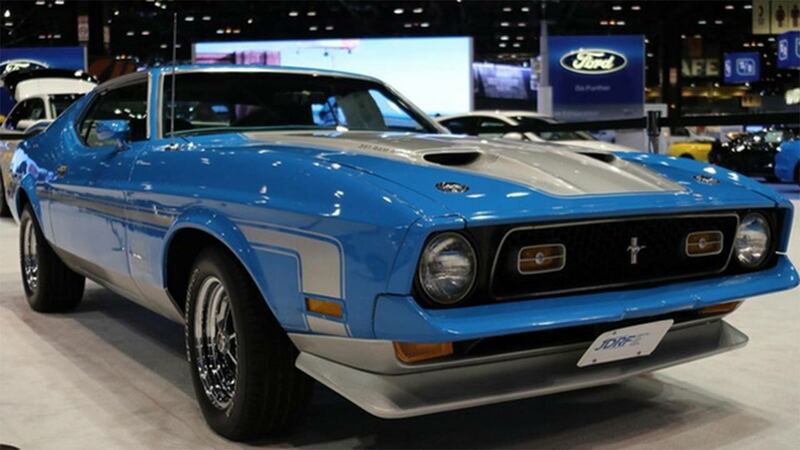 CHICAGO (WLS) -- A 1971 Ford Mach 1 is being raffled away at the Chicago Auto Show, with proceeds going to fight type 1 diabetes. The Ford Mach 1 was donated by Angels Garage and is at the Ford display at McCormick Place. The proceeds will go to JDRF Illinois, an organization that raises money for research on type 1 diabetes. The car was signed by actor Tommy Chong and hip hop duo Audio Push. Raffle tickets are $10 for one ticket, $50 for six tickets, or $100 for 12 tickets. The winner will be announced at 5 p.m. Friday. Tickets can be purchased at the Ford booth at the Chicago Auto Show and online.